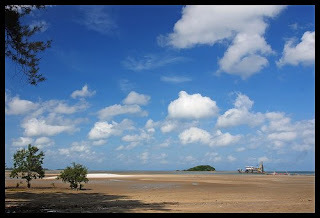 Tanjung Pandan is the capital city of Babel. The topography consists of lowland and some small areas of swamp while in the middle part there is highland in groups of 150-200 meters above the sea level. It is the second biggest tin producer in Indonesia.